So, I've been replaying Bastion in between DotA 2 matches, and I'd like to elaborate on why the design methodology behind it should be the way people make solid single player story-based games in the future. So let's jump right in! 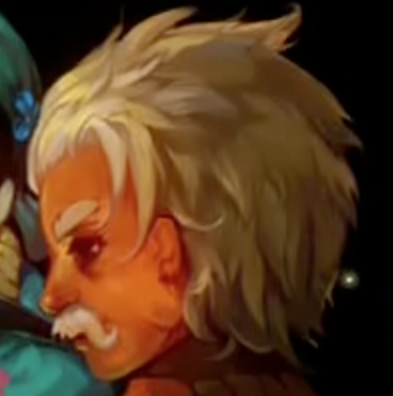 One of the first things you see Bastion lauded for is Rucks, one of the main characters and the narrator for the game. While it is one of the best aspects of Bastion, when I started thinking about it, I don't remember many games actually having a narrator, and I think for many games, it would help. One of the biggest narrative problems with games is the disconnect between the player and the character. Very often in games, the player must make their character act in ways that are deliberately stupid to advance the plot. Most of the time, you'll roll your eyes and play the way the game wants you too, and get over the tiny bit of suspension-of-disbelief shattering idiocy. In games dealing with complex issues, a narrator is a clever way of providing a biased perspective without outright stating it. As you play Bastion, you slowly begin to suspect Rucks is not entirely impartial , and as the game evolves it's clear that his perspective on what is happening is actually one of the "sides" you can take. It's a refreshing way to inject some actual world-building into plot and forcing a player to confront these issues in a way more complicated then "do I kill them or not?" I can already address some of the criticism I feel this idea will get, namely that Bastion's narrator was a "gimmick" and this shouldn't be universal. In a sense, I agree. The specific way Rucks was used in that game is not something I would want to generalize to all games trying to tell a story. Just because it worked very well once doesn't automatically make it some sort of categorical imperative. All I'm saying is that the use of a narrator, and in general narrative tools that divorce the player from the protagonists, is something that should be used more often. I am a fan of games that have deep and relatively unique settings, and it seems that for once, gaming trends have actually followed what I think should be core in any game with a serious story. The problem is in the execution. Following the popularity of games like Mass Effect and The Elder Scrolls series, a lot of games these days include codices in the menu, or in-game pamphlets (usually labelled books) that you can read to learn about the world. This is how you do world-building poorly. In books, it is considered massively bad form to just "infodump" pages of exposition explaining the world, and in movies, characters who exposit too much are the sign of a bad filmmaker. The same standards should also apply to games. How does Bastion do this better than its mainstream competitors? By acknowledging that simple fact that people can create very interesting stories off of very few bits of information. The audience has an imagination, it can fill in the blanks, so to properly explain a setting the only thing you need is short bits of evocative description. J.R.R. Tolkien didn't dump The Silmarillion into The Hobbit or The Lord of the Rings; he described old ruins, threw out mentions to famous events in past history and let the readers fill in the blanks. In Bastion, every weapon you pick up has a one-sentence written description, and a few phrases from Rucks. Same with the upgrade material. From about a paragraphs worth of information, you can reconstruct an entire profession in the setting. The fact that I don't know the entire history of the maybe-sentient Windbags is a good thing. Any explanation I come up with will be much more satisfying, and probably have fewer plot holes. By making quality more important than quantity, you streamline your game world and make it much more fun to explore. And just when you thought I was going to stick to storytelling! I really can't help myself. 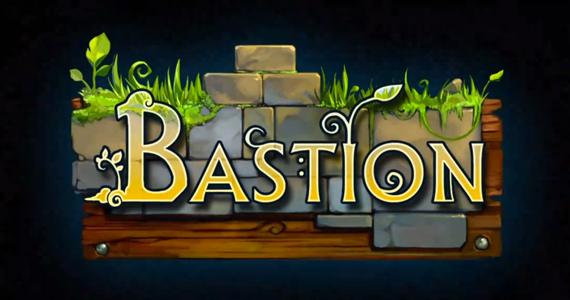 Bastion's story is about exploring the world to find survivors and rebuild the Bastion. What happened in "the Calamity" and the backstory of the world are slowly revealed as the game goes on as the underlying support for the main plot. Bastion's gameplay is exploring levels, fighting enemies to reach "cores" that rebuild the Bastion, and you slowly start collecting bits and pieces of the old world that help you understand just what went wrong that support your overall goal of finding more cores. This embedding of narrative and gameplay is what makes video games unique as a storytelling medium. Putting it simply, if your game doesn't do this, it is not telling a good story. The focus on combat as the only real mechanic is the triumph of execution over innovation. Looking at it, you don't really "do" that much in Bastion, and almost none of it is new. 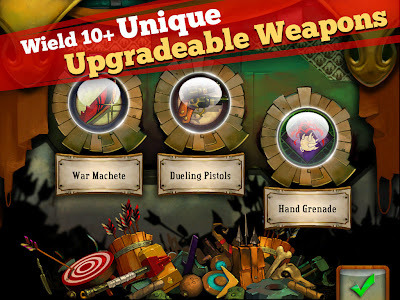 All the minigames focus on improving your skill with your weapons, the only thing you can use money for is to buy new weapon skills and upgrades. If you want to take a break from the main story, you can explore the character histories by...fighting waves after waves of enemies in a dreamscape. The dev team only really had to get one thing right, as far as playing the game goes. By paring everything down to one core element, you can spend so much more cognitive time on getting the visuals, the sound, and the writing to a much higher standard. That's not to say the game is boring, though. There are a number of different playstyles based on the weapons you use, all valid depending on the situation. One of the better innovations (used here not in the sense of doing it first, but consciously doing it differently) is letting the player adjust the difficulty of the game in different ways. You can make the AI more aggressive, give enemies more defensive abilities, make them explode when they die, or just buff their health and damage. The dynamic, bottom-up way of adjusting difficult is much more friendly then the top-down easy/medium/hard most games do. In this case, focusing on one thing gave them much more depth, and depth is usually what drives replay value. So how can other game companies truly take advantage of the success of Bastion? The first, and in my mind most important, would be to shrink the size of the teams developing the games. Smaller teams lead to more cohesive work. You can't get as much stuff done with a smaller team, but this isn't necessarily a bad thing. Instead of cramming in content, focus on a few aspects and really nail them. This can let you spend much more time focusing on telling a proper story with your game. Most of all, as gaming gets bigger and bigger, it's important to remember restraint.